The Tall Ferns arrived in Christchurch on Sunday afternoon weary but content following their week long excursion to the William Jones Cup in Taiwan. 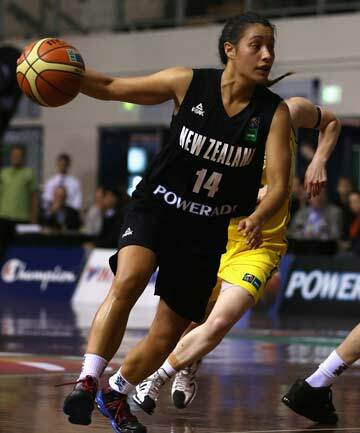 The Kiwis finished on a high at the tournament defeating an American Select team 79-54 in their final game on Friday. This week the Tall Ferns play the Japanese national team in the Christchurch Casino International Women’s Basketball Series in Canterbury. Japan has just completed a three test series against Australia last week where they recorded two losses and one win, losing Game one 86-65 and Game two 84-64 but winning Game three in Ballarat 76-75. These results are more than respectable considering the Australian Opals are a basketball power house, ranked number two on the FIBA world rankings. These upcoming games will give Tall Ferns Coach Kennedy Kereama some great insight as to how his team will stack up against the Opals the following week when they meet in the Oceania Championships for a place at the Rio Olympics. Kereama is looking forward to this home series and beyond. The Japanese Women are coached by Tomohide Utsumi and are currently ranked 15th in the world by FIBA, compared with New Zealand’s ranking of 22nd. At last year’s FIBA World Championship the Japanese team finished a respectable 14th after winning the FIBA Asia Championships the year before. Expect the Japanese to rely heavily on the three point shot. In game three against the Opals they connected on 13 of 20 attempts from beyond the three-point arc. For his part Paul Duggan the General Manager of Canterbury Basketball Association is excited about the week ahead. Tickets for the game at Cowles Stadium, Christchurch on Friday August 2nd, 7pm tip-off, are still available.